It has been a while since we have heard some of the so called "metal" bands that are cluttering the world of music, so Hey! - let's give it a look once more! I would imagine that I speak for most by saying we got into metal when we were younger and dumber, at a time where as long as it's heavy and extreme that is all that matters. Does the aging and learning process make some lyrical concepts seem immature or not so well phrased? We certainly don't know what you have to say (unless you write us!) but you will hear what we have to say to that. We get it, such a segment sounds like the idea of an extreme metal dork.....of course! Let this hopefully be the birth of a new segment with many more of it's kind as we analyze our first "Extreme Metal Dork". I wonder who it could be!? (Or if you know someone that is too?). 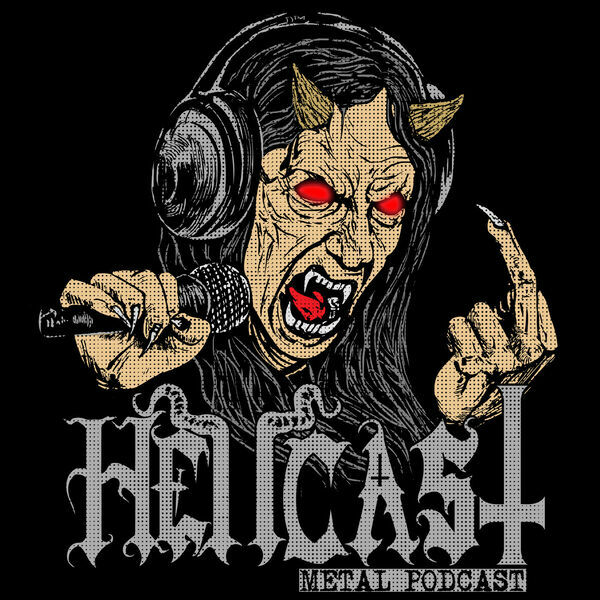 Only way is to load the episode, upset your co-workers or fellow pre-schoolers for this week's HELLCAST! NOCTURNAL GRAVES "Promethean War" | CANCER "C.F.C" | WEREWOLF "My Journeys Under The Battlemoon" | OCTOBER 3-1 "Gone To The Devil" | SARGON "Dead In Vain" | WARRANT "Ordeal Of Death" | RIGOR MORTIS "Bodily Dismemberment" | ENTHRALLMENT "Carnal Affection" | NME "Black Night"